Curricular constraints require being selective about the type of content trainees practice in their formal training. Teaching trainees procedural knowledge about “how” to perform steps of a skill along with conceptual knowledge about “why” each step is performed can support skill retention and transfer (i.e., the ability to adapt knowledge to novel problems). However, how best to organize how and why content for procedural skills training is unknown. 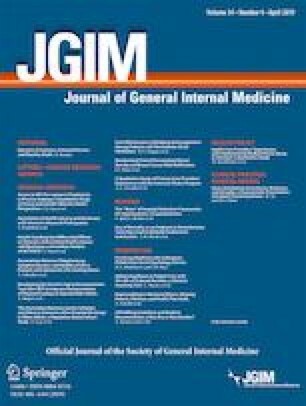 We examined the impact of different approaches to integrating why and how content on trainees’ skill retention and transfer of simulation-based lumbar puncture (LP). We randomized medical students (N = 66) to practice LP for 1 h using one of three videos. One video presented only the how content for LP (Procedural Only). Two other videos presented how and why content (e.g., anatomy) in two ways: Integrated in Sequence, with why content followed by how content, or Integrated for Causation, with how and why content integrated throughout. Pairs of blinded raters scored participants’ retention and transfer LP performances on a global rating scale (GRS), and written tests assessed participants’ procedural and conceptual knowledge. Simple mediation regression analyses showed that participants receiving an integrated instructional video performed significantly better on transfer through their intervention’s positive impact on conceptual knowledge (all p < 0.01). Further, the Integrated for Causation group performed significantly better on transfer than the Integrated in Sequence group (p < 0.01), again mediated by improved conceptual knowledge. We observed no mediation of participants’ skill retention (all p > 0.01). When teaching supports cognitive integration of how and why content, trainees are able to transfer learning to new problems because of their improved conceptual understanding. Instructional designs for procedural skills that integrate how and why content can help educators optimize what trainees learn from each repetition of practice. Earlier versions of this paper were presented at the Association for Medical Education in Europe in Helsinki, Finland (September 2017), and at the Canadian Conference for Medical Education in Halifax, Nova Scotia, Canada (April 2018). The online version of this article ( https://doi.org/10.1007/s11606-019-04959-y) contains supplementary material, which is available to authorized users. The authors extend their thanks and appreciation to the Currie Fellowship program at the Wilson Centre, University Health Network and the Canada Graduate Scholarship program at the Natural Sciences and Engineering Research Council for funding JJHC’s PhD studies. We thank the staff at the Surgical Skills Centre, Mount Sinai Hospital, Toronto, for sharing equipment and resources, Thomas Sun at Sun Innovations for his ongoing innovation and technical support of our projects, and the Wilson Centre for providing space to conduct the experiment. We are very grateful for the funding from the Bank of Montreal Chair in Health Professions Education Research and from the Department of Medicine, University of Toronto. We received institutional ethics approval from the University of Toronto prior to participant recruitment. All participants provided informed consent prior to engaging in the study protocol. Bloch R. G_String_IV. Hamilton, ON; 2017. Available at: http://fhsperd.mcmaster.ca/g_string/index.html. Accessed 6 January 2019.